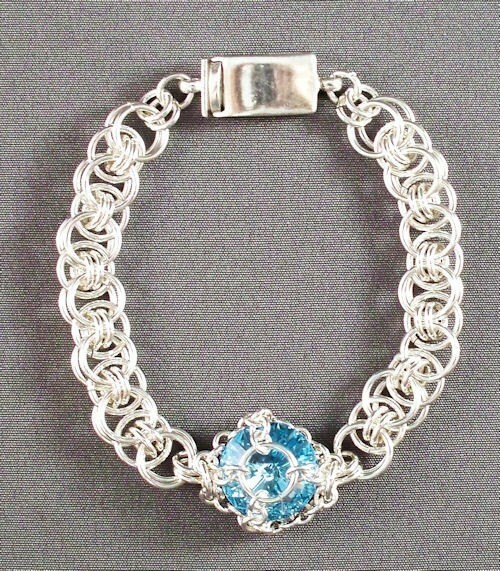 The Rivoli in Maille Bracelet is a stunning piece of jewelry. The small rings cage the Swarovski rivoli crystal in place as the focal point of the bracelet. It combines the Celtic Line weave with the rivoli caging chain. This is an advanced beginner weave. The clasp is not included in the kit.